Call/Whatsapp us on 7434065995 for any queries. Go to your Google Drive or Dropbox. Make a new folder in it. Upload all photos in it. Then copy the folder link and paste it on this page when ordering. Also upload one photo of your choice for the main pic when ordering. After placing order, we will send you 2-3 samples to choose on your Whatsapp number. What type of pictures can I give? You can give any type of photos you want. It can be normal Mobile Photos, DSLR Photos etc. You can also give your old scanned photos. Please give less group photos. On which material is the poster printed? Posters are printed on Professional Grade Photo Paper. The poster has a Matte finish with excellent color quality and high detail level. Do you provide a Frame? We do not sell Frames with the poster currently. We only sell Posters. You can conveniently frame it at a nearby shop after receiving the poster. Do you have All India delivery? Yes. We have All India delivery. We deliver primarily via Delhivery/Xpressbess. If your address is not serviceable by any courier, we may send via India Post. How much time does it take for an order? 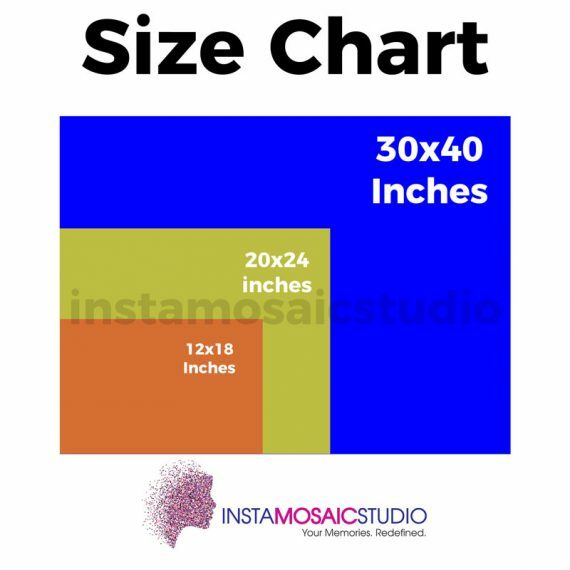 It takes 2-3 Working days to make samples of your Poster once we receive your order. After you confirm the samples, it takes around 7-8 working days for delivery. Which payment options are available? You can pay by your Credit Card, Debit Card, Netbanking, PayTM and other mobile wallets on our website. Is Cash on Delivery (COD) available? Cash on Delivery (COD) is not available as its a personalized product. 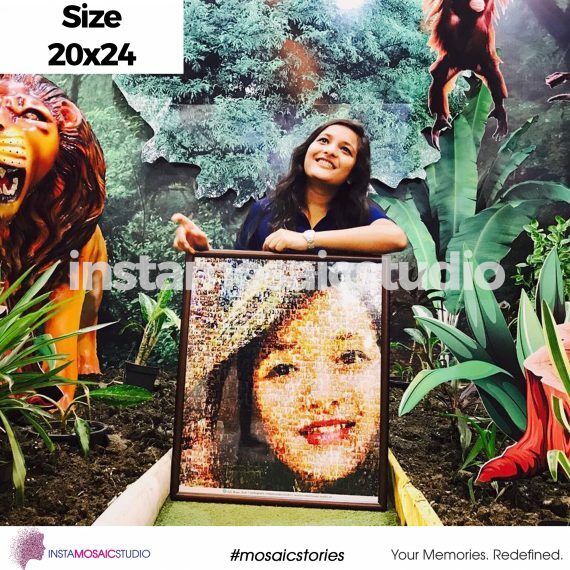 How can I send my photos? Then copy the link and paste it on this page when ordering. You can contact us via Call/Whatsapp on 7434065995. 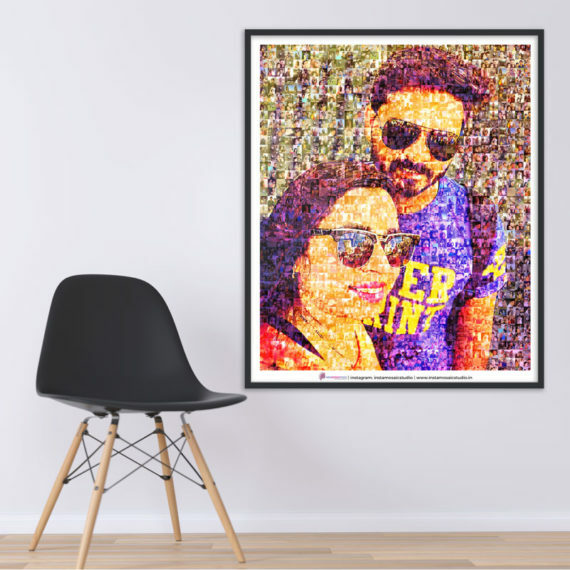 Presenting a very Unique & Memorable gift for your loved ones, Personalized Mosaic Poster. 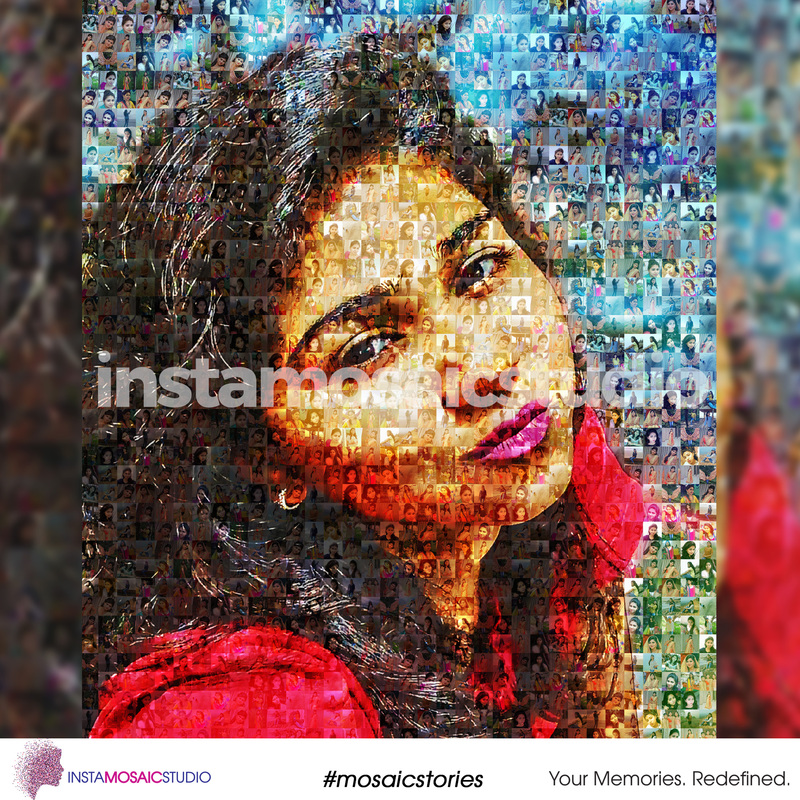 With 1300+ pictures in it, get ready to surprise your friends and family. Watch below how one of our customers celebrated the birthday of their loved ones with an Extra Large sized Personalized Mosaic Poster! 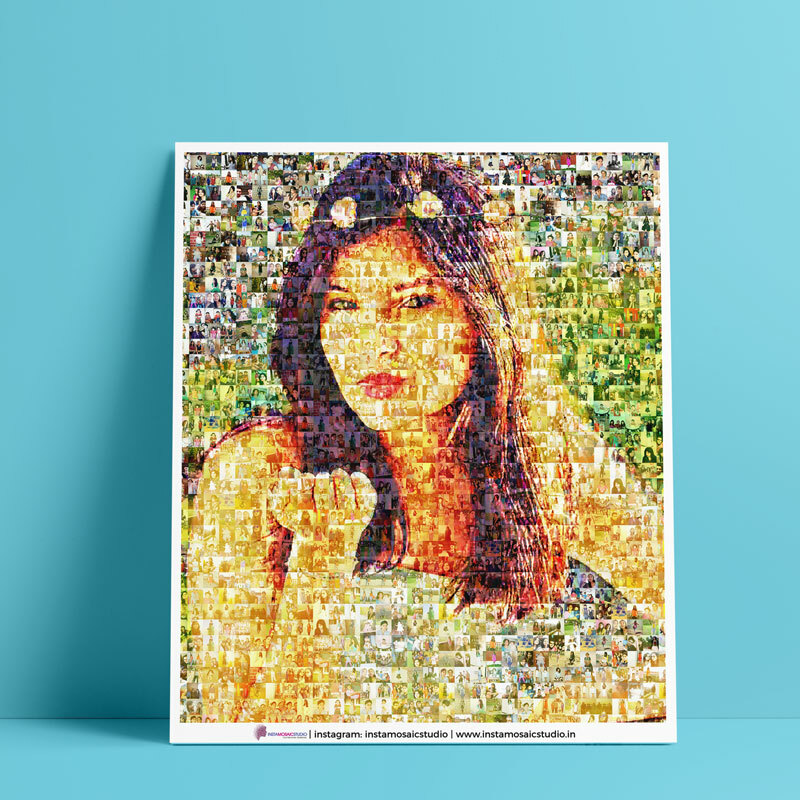 Capture all your moments at one place with hundreds of pictures in your Personalized Mosaic Poster. 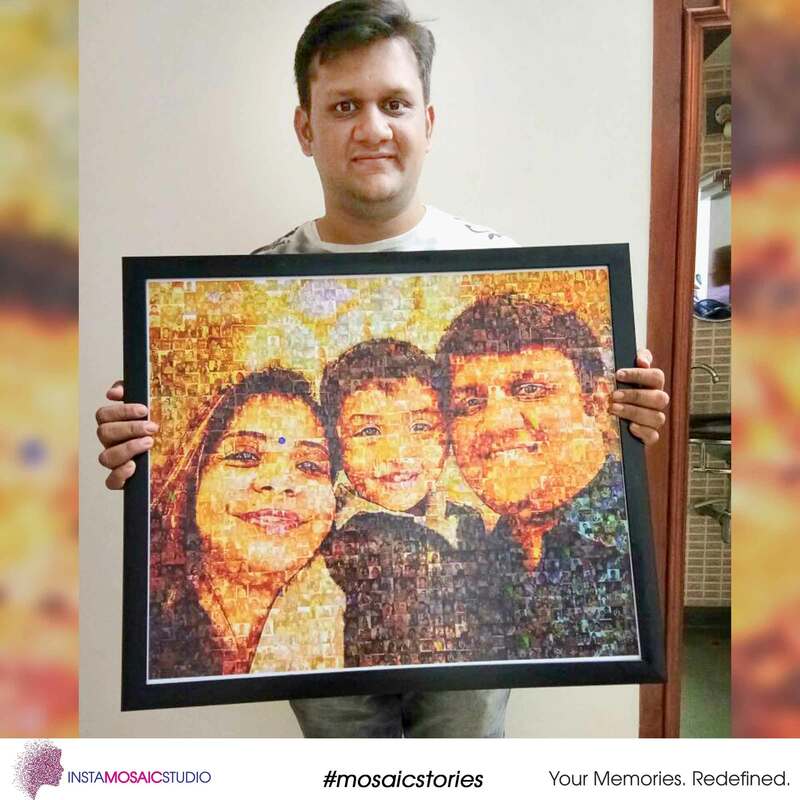 From the vacation trip to the days of festivals, from marriages to your baby pictures, you can include all your memories, in a beautiful way. Each poster is made manually by our expert designers. That’s why each poster we make is unique in it’s own way. We make multiple versions of your poster and let you decide the one you like. Also we listen to your requests and carry out corrections in your photos to bring the best quality possible. 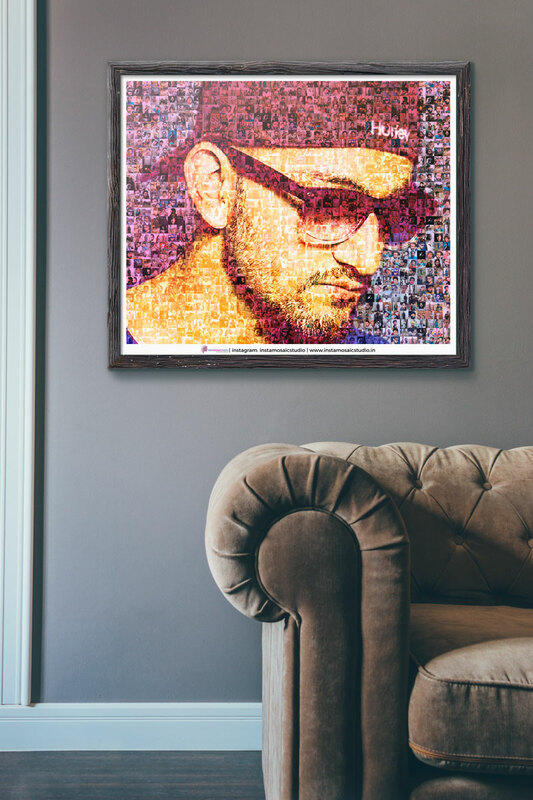 Your poster looks great on your wall. 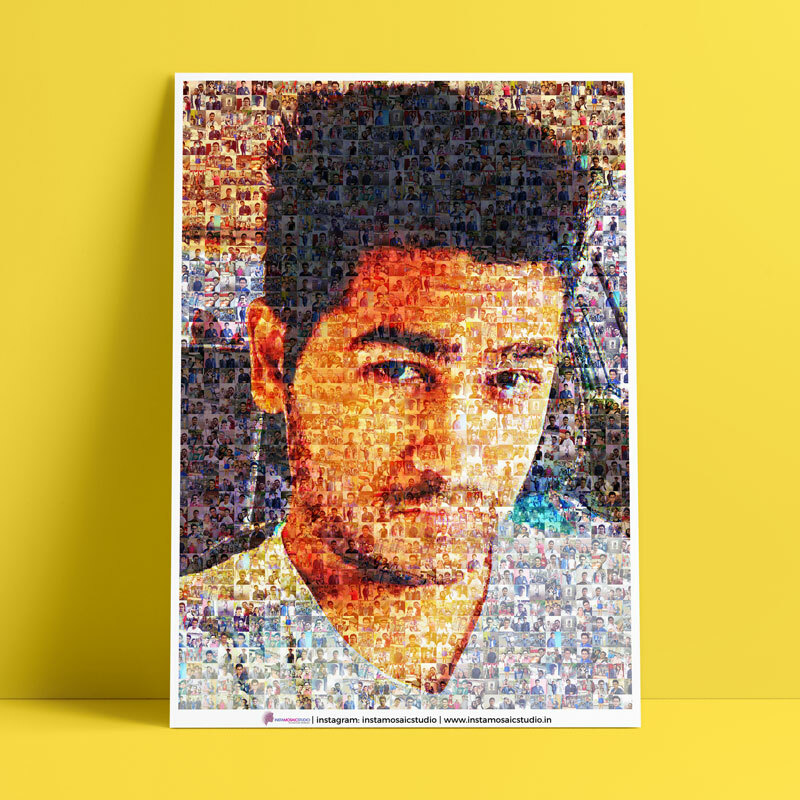 Frame it any way you like and decorate your room. Available in Small, Large and Extra Large sizes. Who remembers a boring gift? A Personalized Mosaic Poster made with the pictures of your Friends & Family is unique and makes them remember it more! Today I got the Poster. Its awesome! My mom is gonna love it. Thanks for making her birthday special! 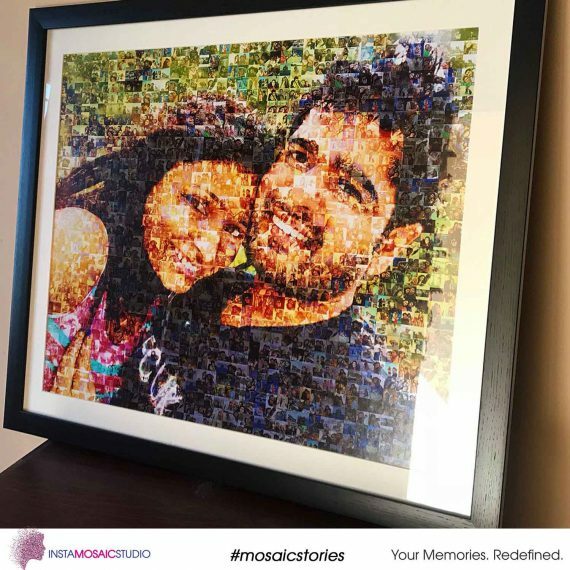 Thank you so much for making such a wonderful couple mosaic. 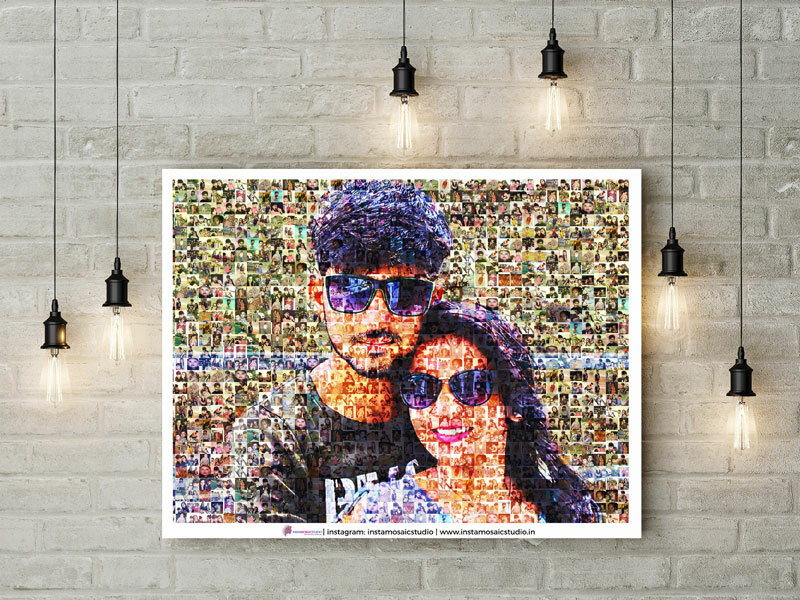 My wife loved it so much when she saw all our pictures together. Any queries? Call/Whatsapp us on 7434065995 now. Click here to chat on Whatsapp now. 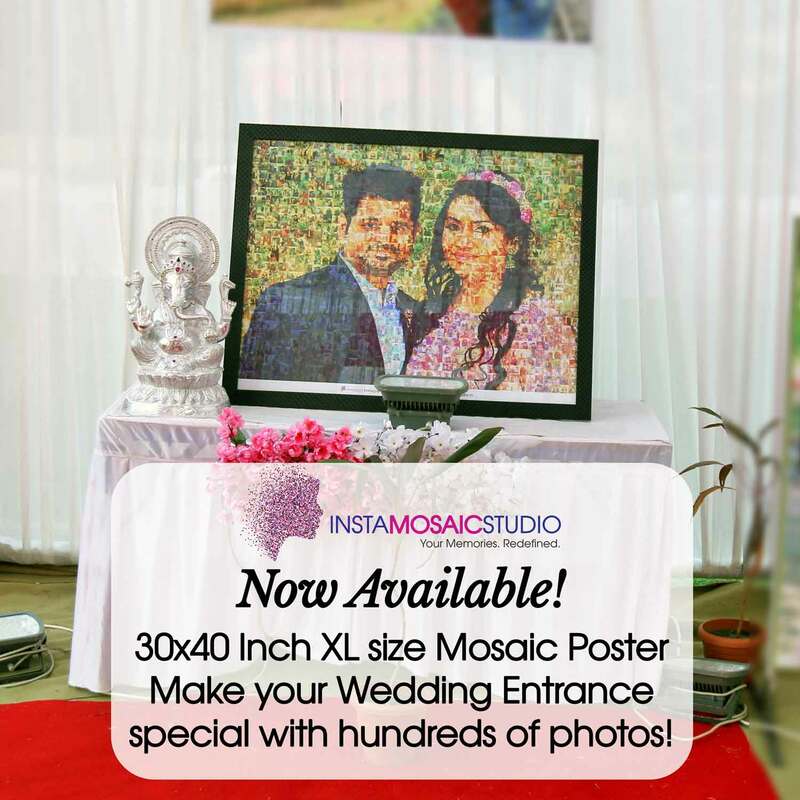 Really fantastic poster…..I am impressed Thank you so much instamosaic studio!……..
Really its osme,when I see that I have no words to say .Its quality is simply suprb.she also liked soo much?? 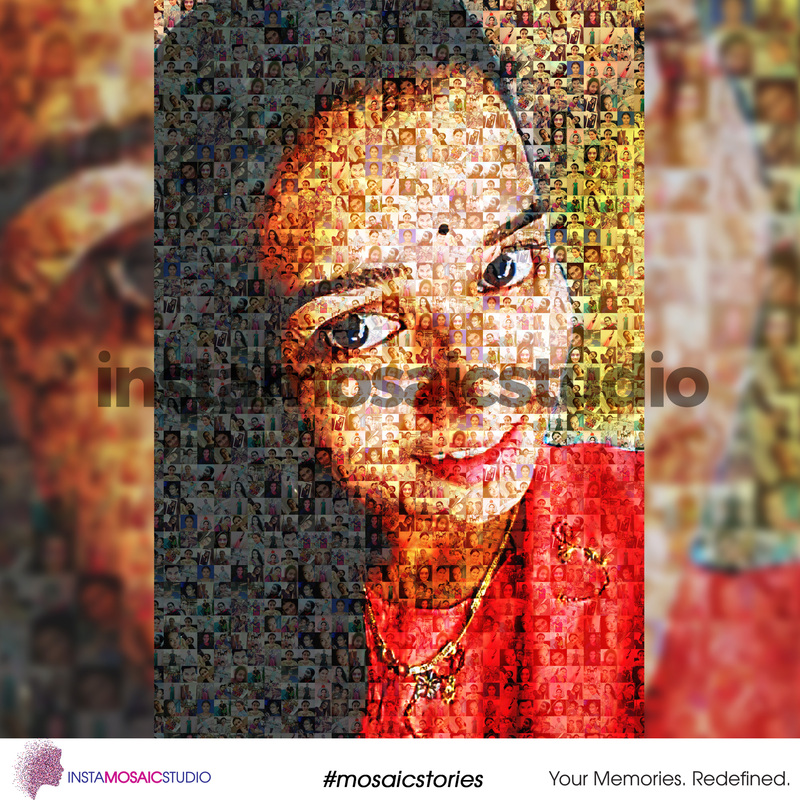 Thank you soon much instamosaicstudio fr this lovely poster?? 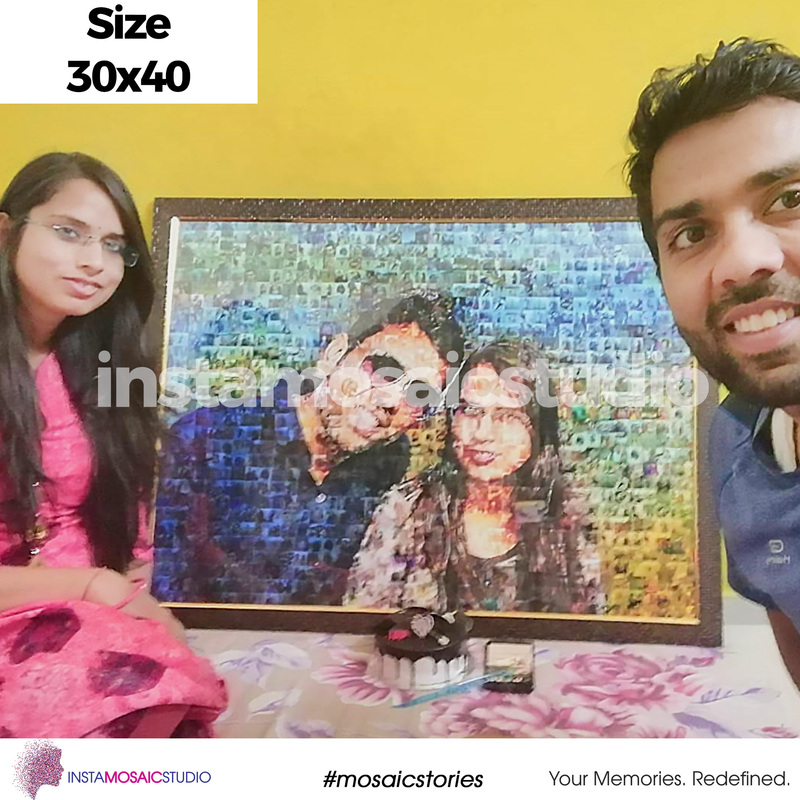 I gifted to my brother he likes it so much n it was damm cute n nice gifting option to anyone to plan as a surprise..so many so many compliments………..
Amazing just wonderful .. vry happy … Loved by everyone… Tqsm for such a beautiful creation…. Awesome one.. I liked it. Good Job 🙂 We are so happy with this. I loved d poster like a hell. 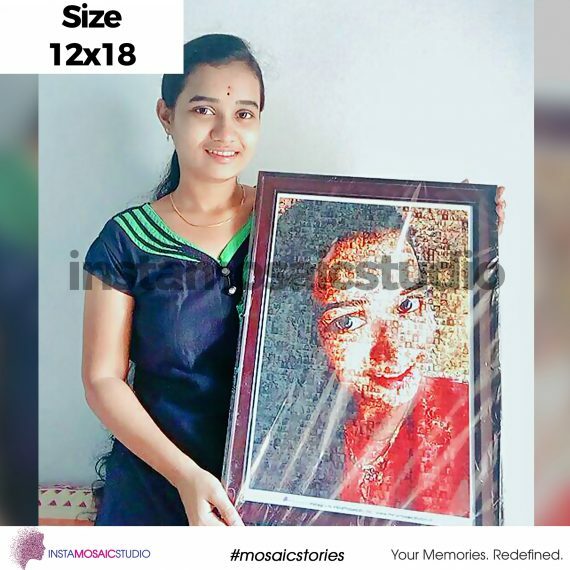 Its a perfect gift for loved one. Its fantastic fabulous. Tq insta mosaic for such a beautiful poster nd for ur effort also??? its not just a poster its an emotion…thanks a lot for it .. it means a lot to me! 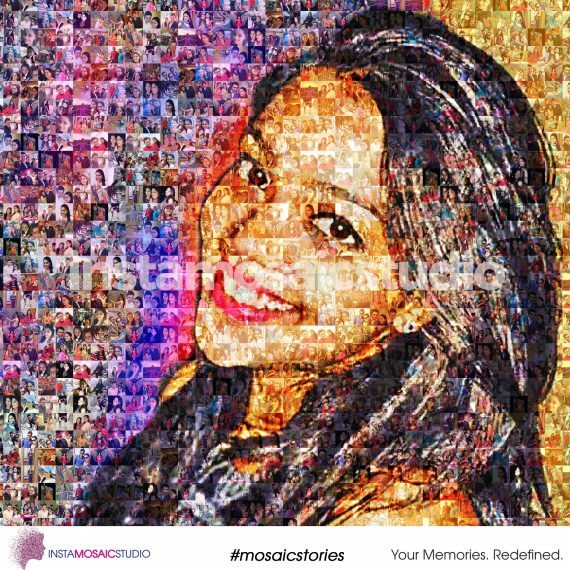 this is the best gift ever …thanks for making it … i knw its very difficult bcz of old pic bt still u did best … thanks a lot i just love it…. 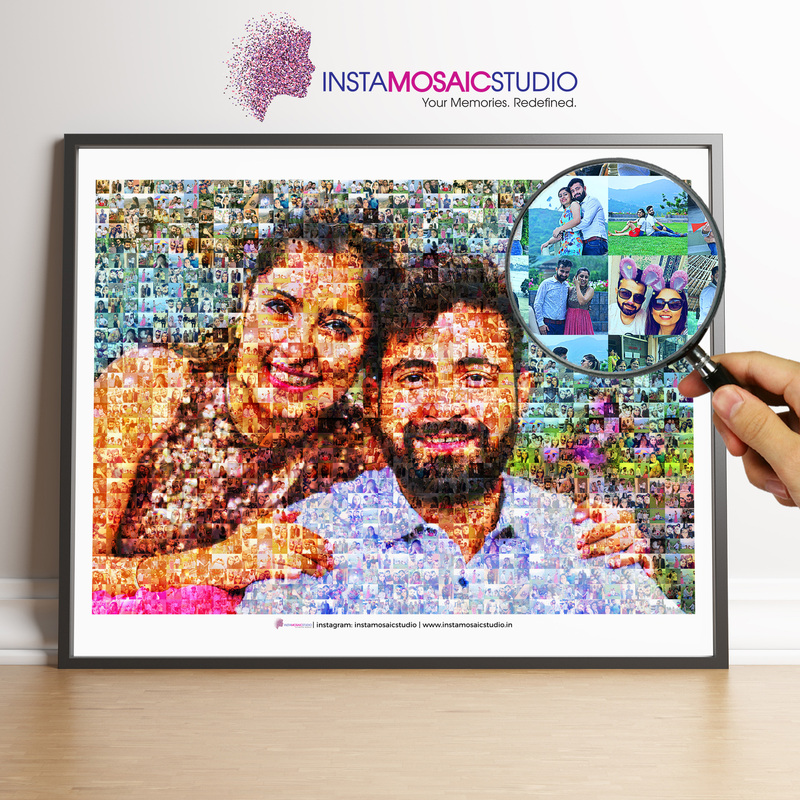 Amazing posters by Insta mosaic studios… Was looking for this work past many days and finally got from this studio. Thanks a lot for the posters? 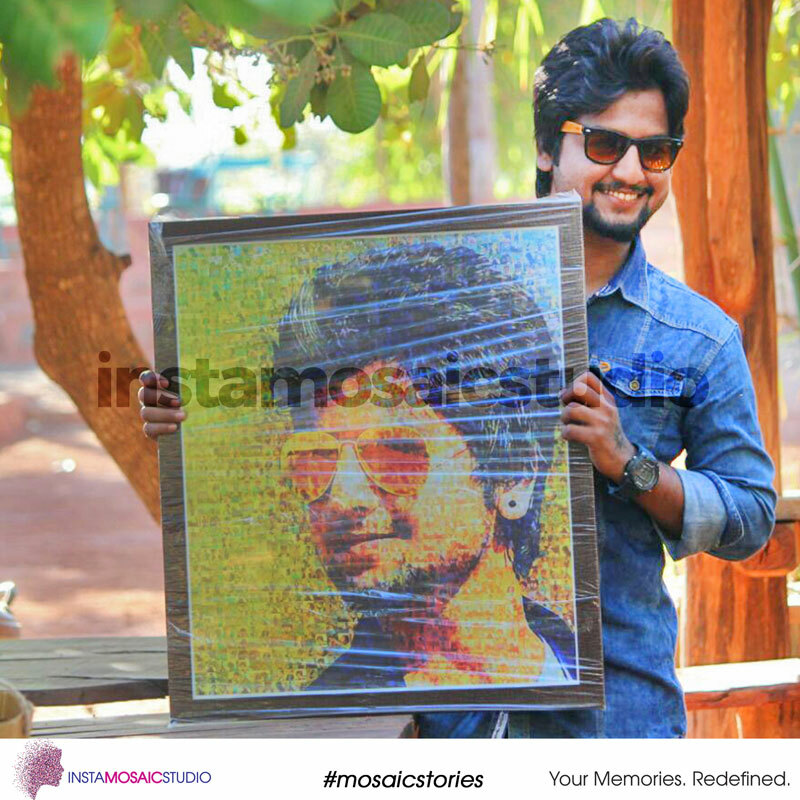 Osmmm poster..its not only the poster it is a memorable gift for special one..and thank you..
Amazing poster.. its beautiful.. i loved it.. thank u soo much..
InstaMosaicStudio, India. All rights reserved.